20th century solutions to new problems in Cryptography. The Fundamental Theorem of Arithmetic. Public Key Cryptography: what is it?. The Discrete Logarithm Problem. Diffie-Hellman Key Exchange. RSA Encryption: step 1. RSA Encryption: step 2. RSA Encryption: step 3. Euler's Totient Function. RSA Encryption: step 4. What should we learn next?. Why do Primes make some problems fundamentally hard? Build algorithms to find out!. Primality Test. Running Time. Computer Memory (space). Algorithmic Efficiency. Sieve of Eratosthenes. Primality Test with Sieve. The Prime Number Theorem. Time Space Tradeoff. Conditional Probability Visualized. 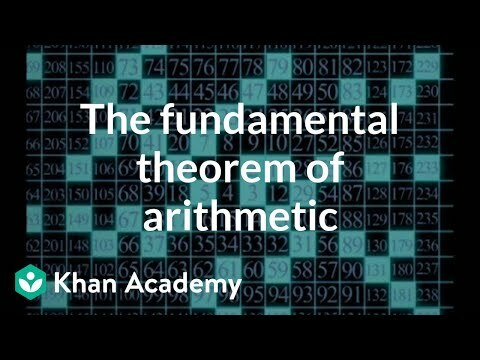 The foundations of math and arithmetic from The Khan Academy. You already have many tools in your mathematical toolkit. In this topic, you'll use these in settings that you're likely to encounter in the real world!. Reading tables 1. Reading tables 1. Reading tables 2. Reading tables 2. Stem-and-leaf Plots. Reading stem and leaf plots. Reading stem and leaf plots. Reading Pictographs. Reading pictographs 1. Reading pictographs 2. Reading Bar Graphs. Histograms. Reading bar charts 1. Reading bar charts 1. Creating bar charts 1. Creating bar charts 1. Reading bar charts 2. Reading bar charts 2. Reading bar charts 3. Reading bar charts 3. Reading Line Graphs. Reading line charts 1. Reading Pie Graphs (Circle Graphs). Misleading Line Graphs. Multistep word problems example 1). Multistep word problems example 2). Multistep word problems example 3). Multistep equations without variables. Greater than and less than symbols. Comparing whole numbers. Plotting inequalities on a number line. Writing numerical inequalities exercise. Writing numerical inequalities. Inequalities in one variable 1 exercise. Inequalities in one variable 1. Inequalities on a number line. Inequalities on a number line. Rational number word problem example 1. 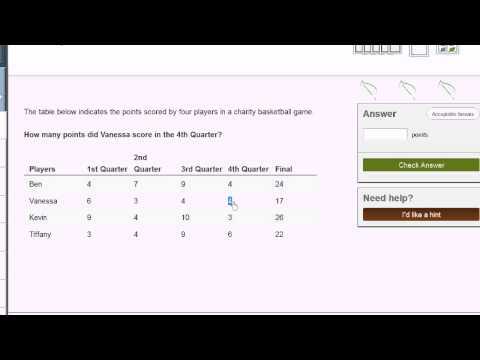 Rational number word problem example 2. Rational number word problem example 3. Adding decimals of different signs word problem. Rational number word problems. Figuring out days of the week. Math patterns example 1. Math patterns example 2. Math patterns. Relationships between patterns. Interpreting relationships between patterns. Interpreting and graphing relationships between patterns. Visualizing and interpreting relationships between patterns. Constructing numerical expressions example. Evaluating an expression with and without parentheses. Expressions with parentheses. Reading tables 1. Reading tables 1. Reading tables 2. Reading tables 2. Stem-and-leaf Plots. Reading stem and leaf plots. Reading stem and leaf plots. Reading Pictographs. Reading pictographs 1. Reading pictographs 2. Reading Bar Graphs. Histograms. Reading bar charts 1. Reading bar charts 1. Creating bar charts 1. Creating bar charts 1. Reading bar charts 2. Reading bar charts 2. Reading bar charts 3. Reading bar charts 3. Reading Line Graphs. Reading line charts 1. Reading Pie Graphs (Circle Graphs). Misleading Line Graphs. Multistep word problems example 1). Multistep word problems example 2). Multistep word problems example 3). Multistep equations without variables. Greater than and less than symbols. Comparing whole numbers. Plotting inequalities on a number line. Writing numerical inequalities exercise. Writing numerical inequalities. Inequalities in one variable 1 exercise. Inequalities in one variable 1. Inequalities on a number line. Inequalities on a number line. Rational number word problem example 1. Rational number word problem example 2. Rational number word problem example 3. Adding decimals of different signs word problem. Rational number word problems. Figuring out days of the week. Math patterns example 1. Math patterns example 2. Math patterns. Relationships between patterns. Interpreting relationships between patterns. Interpreting and graphing relationships between patterns. Visualizing and interpreting relationships between patterns. Constructing numerical expressions example. Evaluating an expression with and without parentheses. Expressions with parentheses. This course is taught in French Vous voulez comprendre l'arithmétique ? Vous souhaitez découvrir une application des mathématiques à la vie quotidienne ? Ce cours est fait pour vous ! De niveau première année d'université, vous apprendrez les bases de l'arithmétique (division euclidienne, théorème de Bézout, nombres premiers, congruence). Vous vous êtes déjà demandé comment sont sécurisées les transactions sur Internet ? Vous découvrirez les bases de la cryptographie, en commençant par les codes les plus simples pour aboutir au code RSA. Le code RSA est le code utilisé pour crypter les communications sur internet. Il est basé sur de l'arithmétique assez simple que l'on comprendra en détail. Vous pourrez en plus mettre en pratique vos connaissances par l'apprentissage de notions sur le langage de programmation Python. Vous travaillerez à l'aide de cours écrits et de vidéos, d'exercices corrigés en vidéos, des quiz, des travaux pratiques. Le cours est entièrement gratuit ! The discovery of exoplanets is one of the greatest revolutions in modern astrophysics. Twenty years ago, we had no idea whether any of the countless stars out there beyond our solar system had planets or not. Today, things are totally different. Over 1,000 planetary systems have been discovered. The universe is teeming with planets. And what strange planets they are - hot Jupiter-like planets skimming the surfaces of their stars, cold and lonely free-floating planets far from any star, planets made of diamond, planets with rain made of glass, super-Earths and even planets orbiting neutron stars. In this course, we’ll bring you up-to-date with the latest research on exoplanets, and how this research has revolutionised our understanding of the formation of solar systems like our own. This course is designed for people who would like to get a deeper understanding of these mysteries than that offered by popular science articles and shows. You will need reasonable high-school level mathematics and physics to get the most out of this course. This is the second of four ANUx courses which together make up the Australian National University's first year astrophysics program. It follows on from the introductory course on the Greatest Unsolved Mysteries of the Universe, and is followed by courses on the violent universe and on cosmology. These courses compromise the Astrophysics XSeries. Learn more about the XSeries program and register for all the courses in the series today! In this course, we will look at many important aspects of the circulation of the atmosphere and ocean, from length scales of meters to thousands of km and time scales ranging from seconds to years. We will assume familiarity with concepts covered in course 12.003 (Physics of the Fluid Earth). 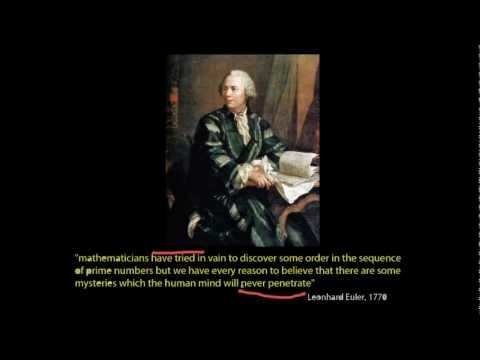 In the early stages of the present course, we will make somewhat greater use of math than did 12.003, but the math we will use is no more than that encountered in elementary electromagnetic field theory, for example. The focus of the course is on the physics of the phenomena which we will discuss. Topic by topic questions and explanations with proven techniques to raise your score! The curriculum of the Beginning Algebra course correlates with high school algebra 1 and college developmental math.